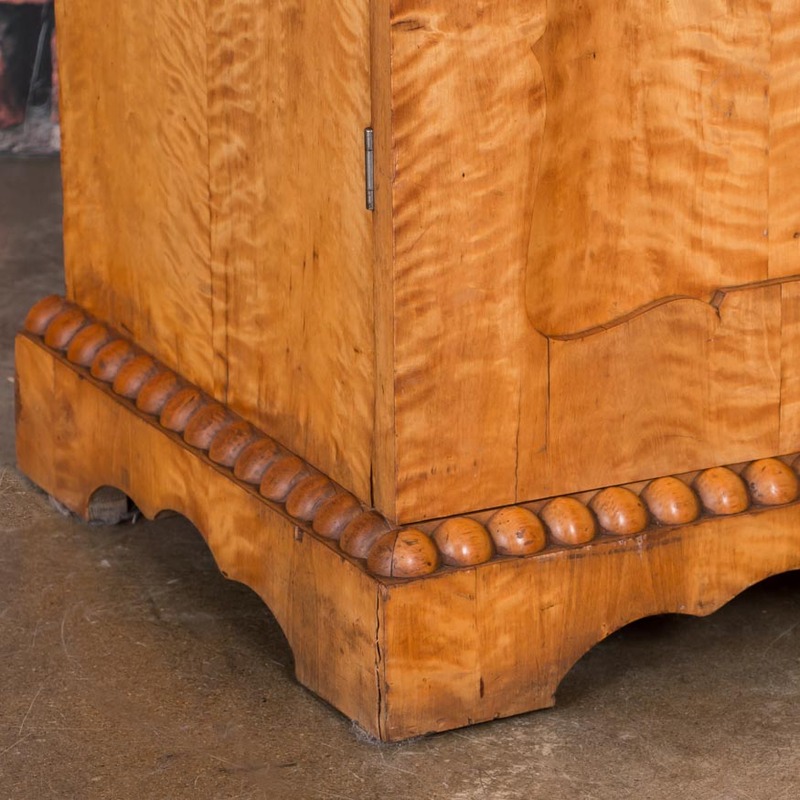 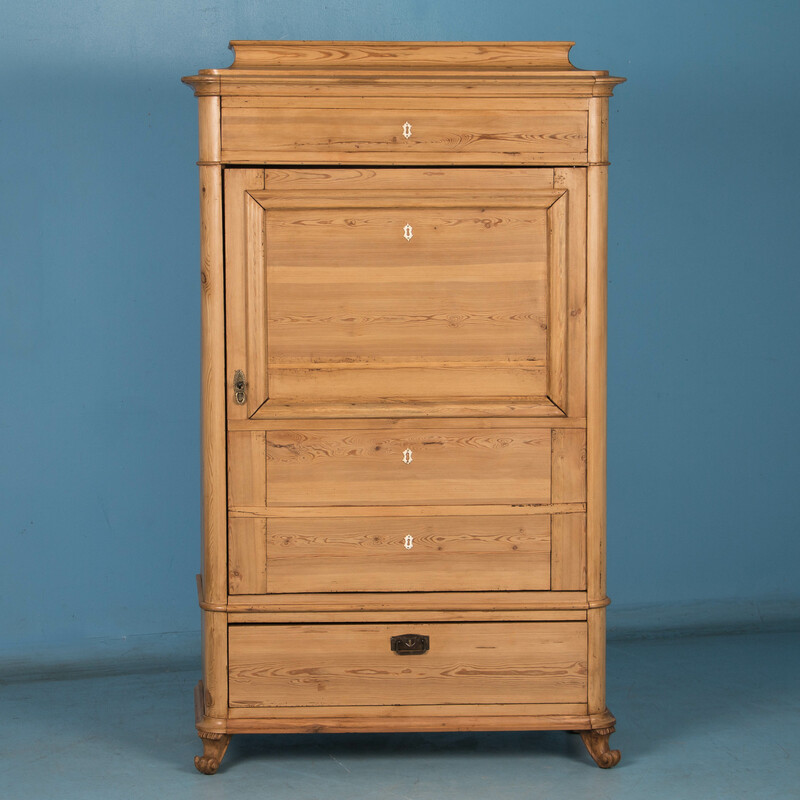 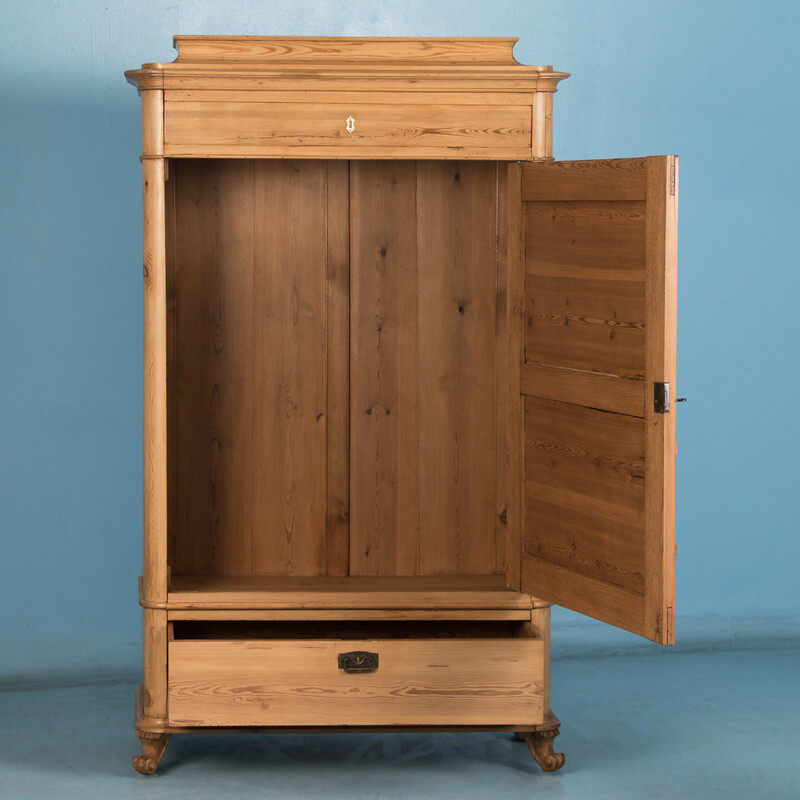 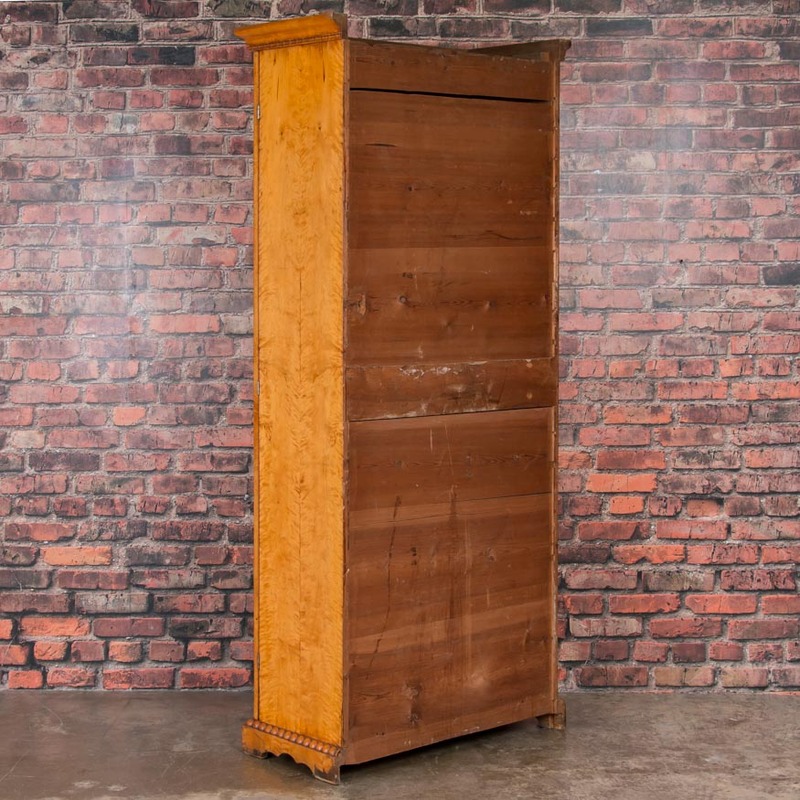 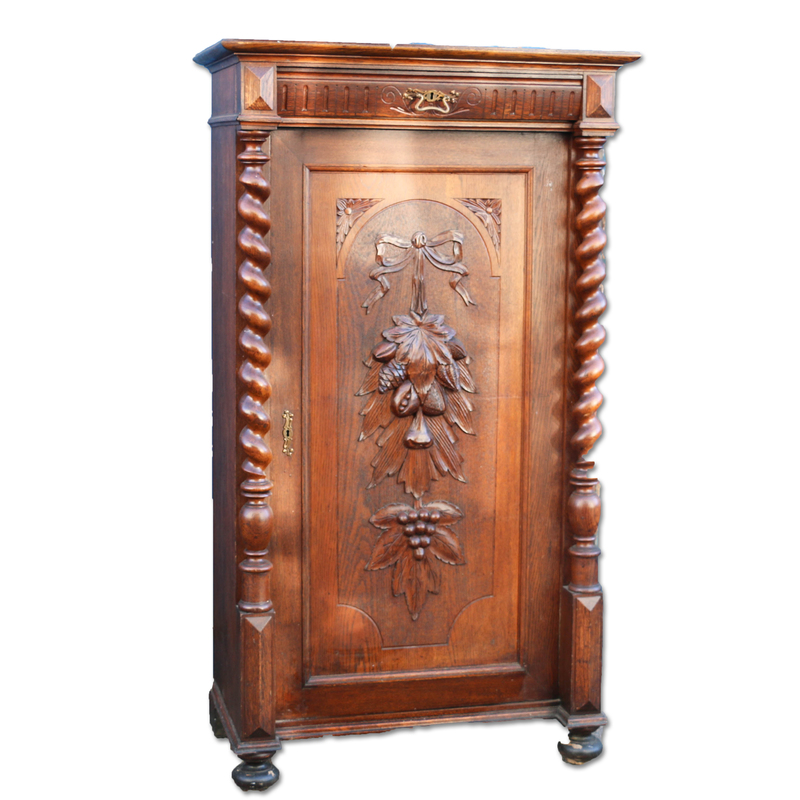 Carved antique Danish oak armoire, circa 1800, resting on bun feet. 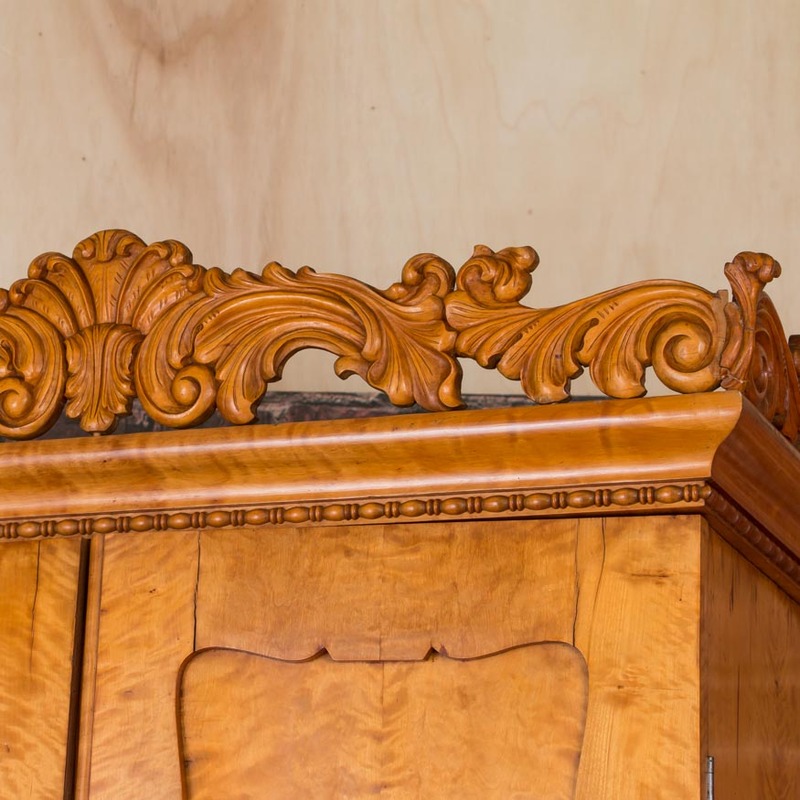 The large carved crown molding sits above carved paneled sides and 2 raised paneled doors, with a pair of small drawers below. 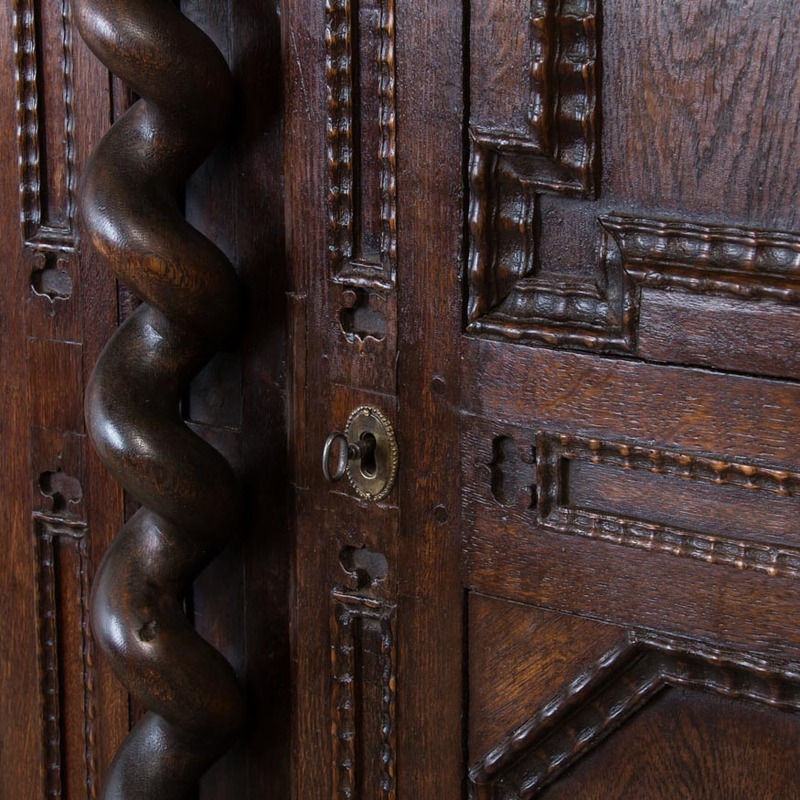 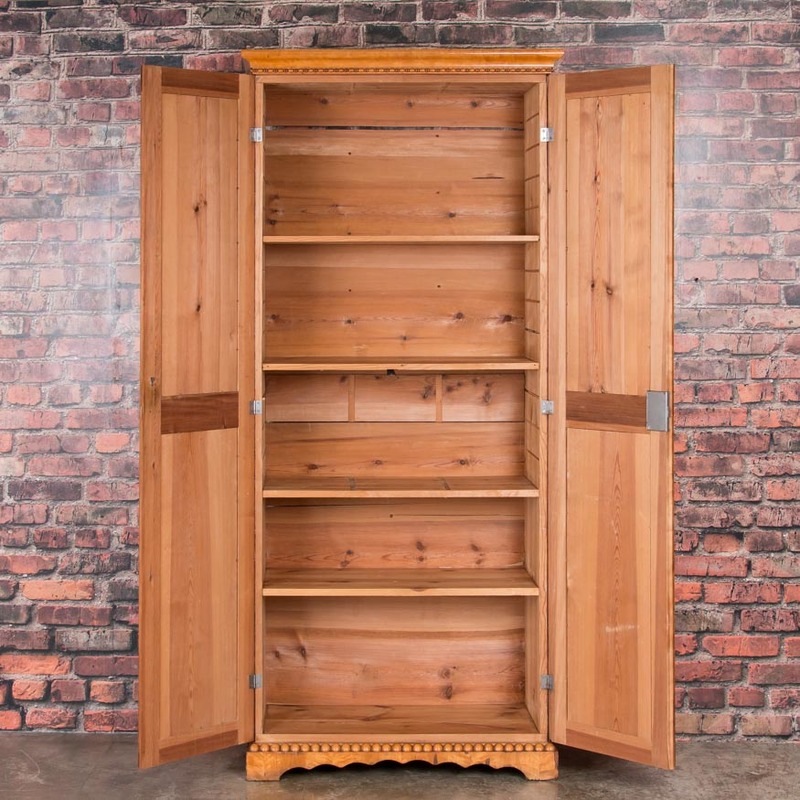 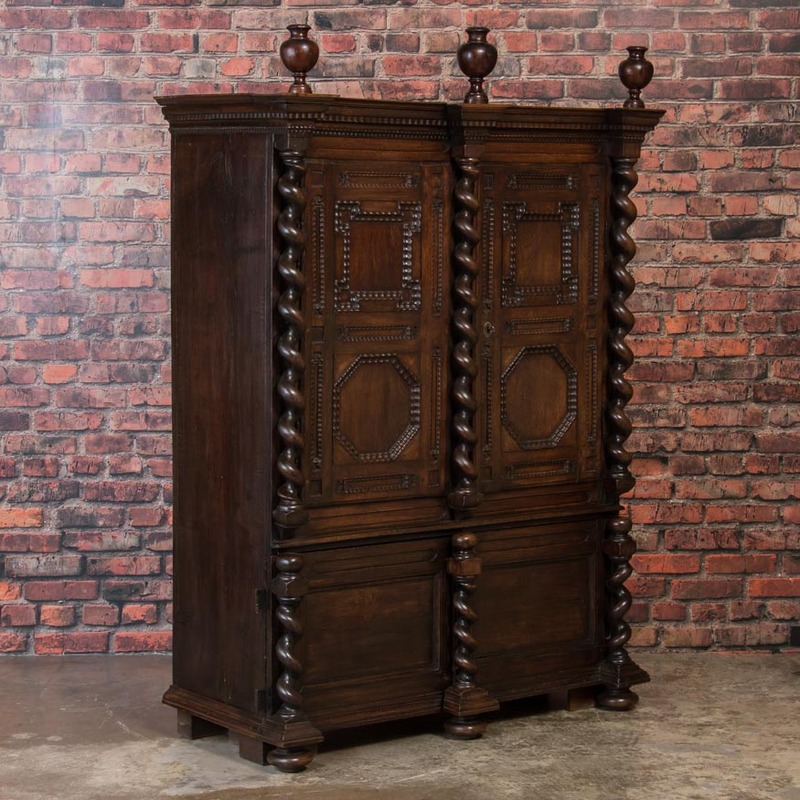 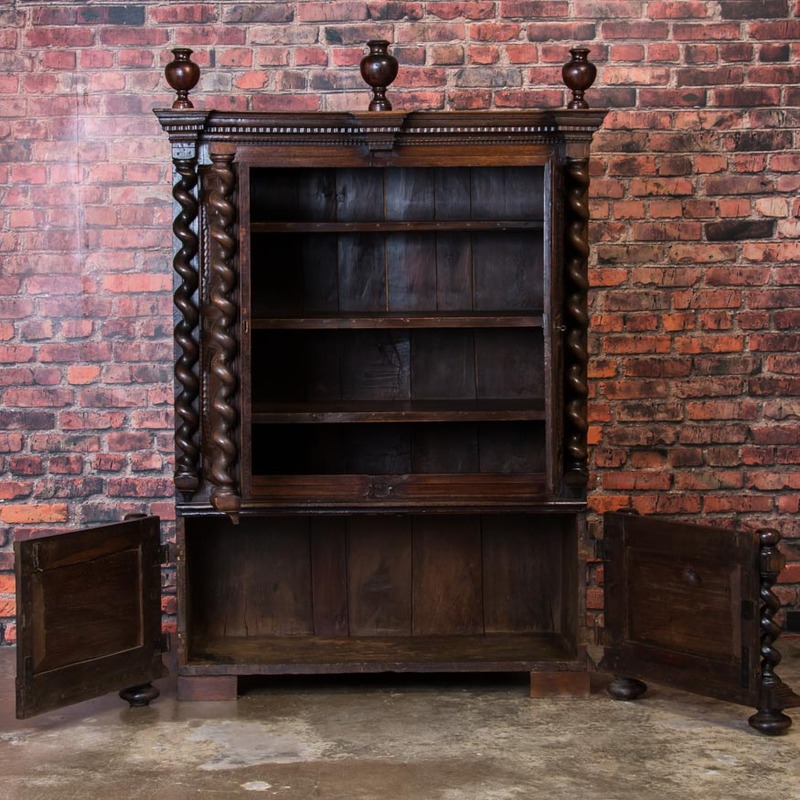 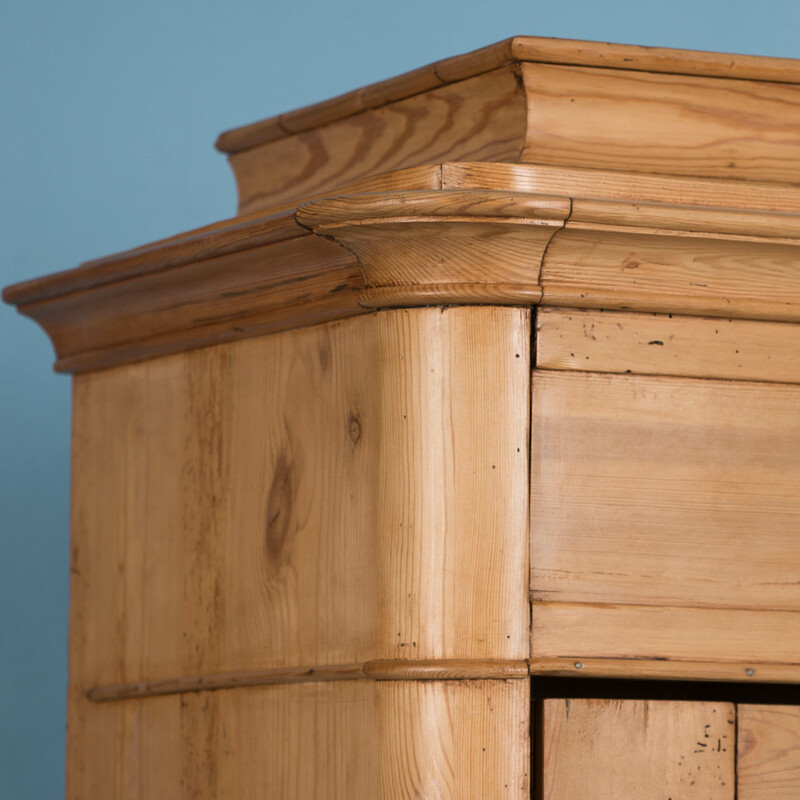 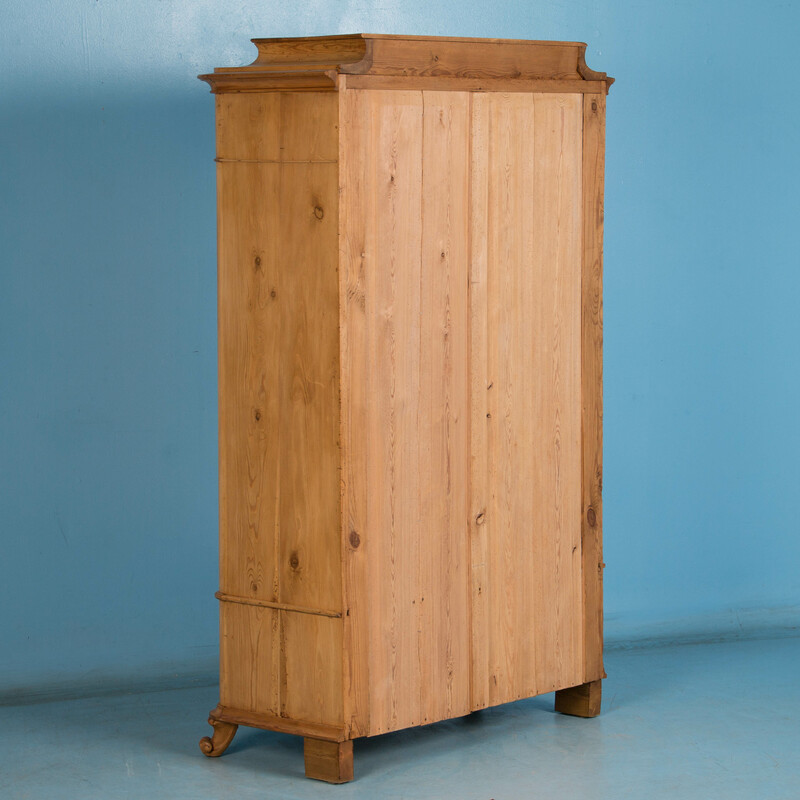 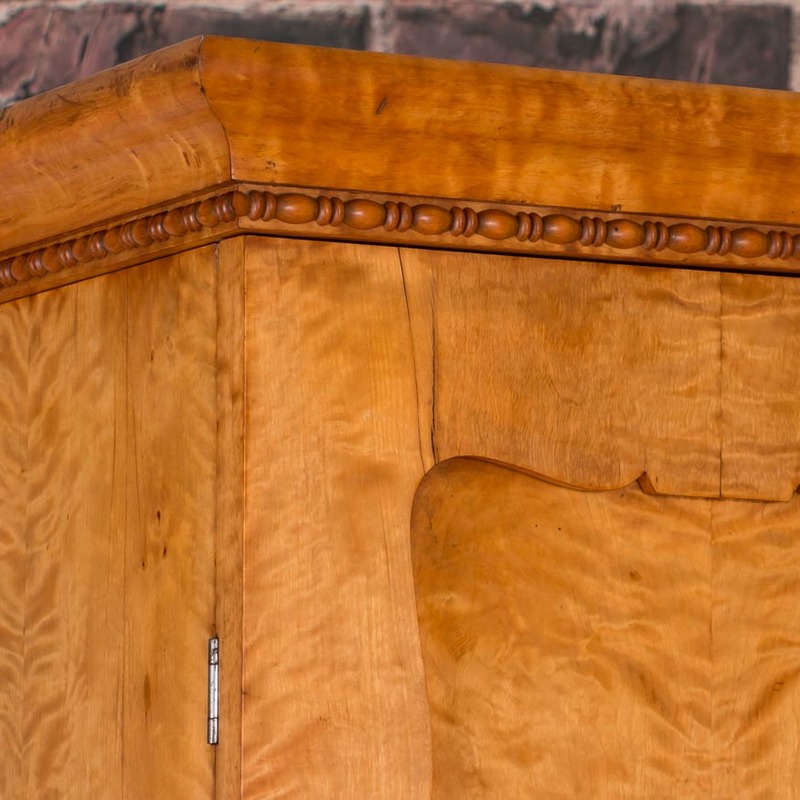 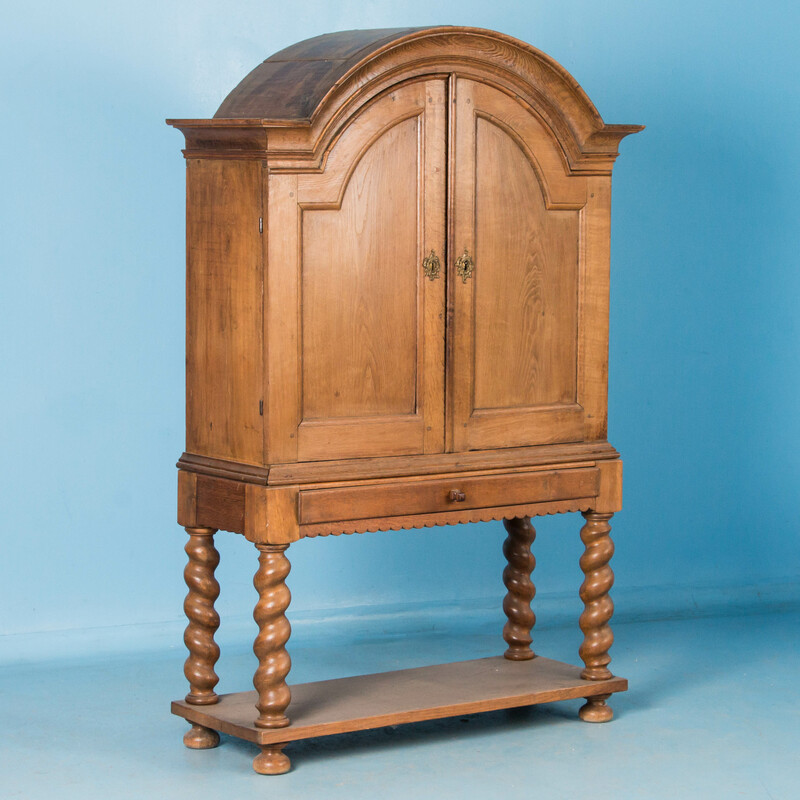 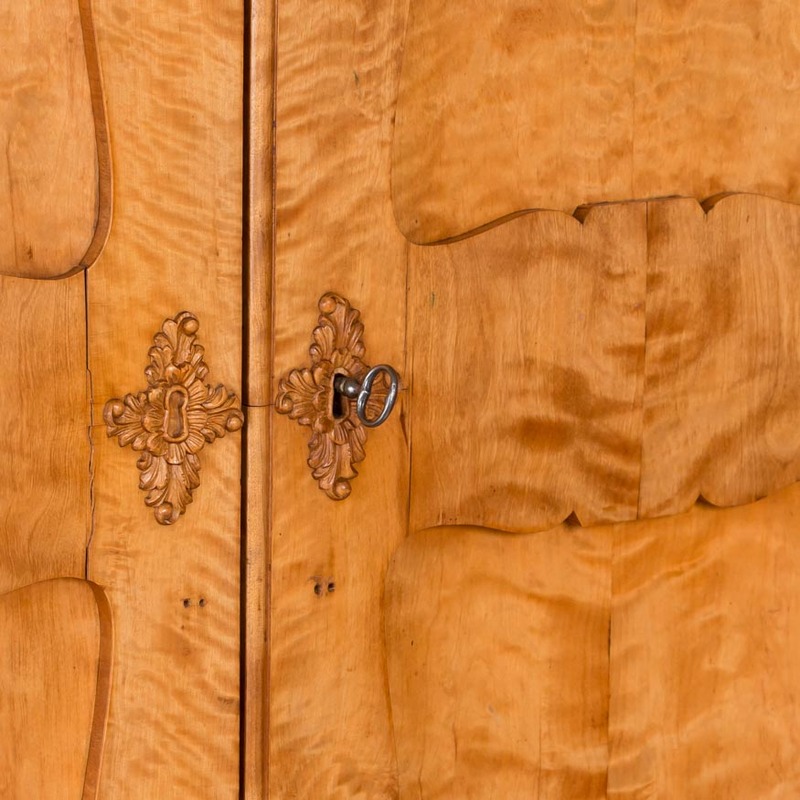 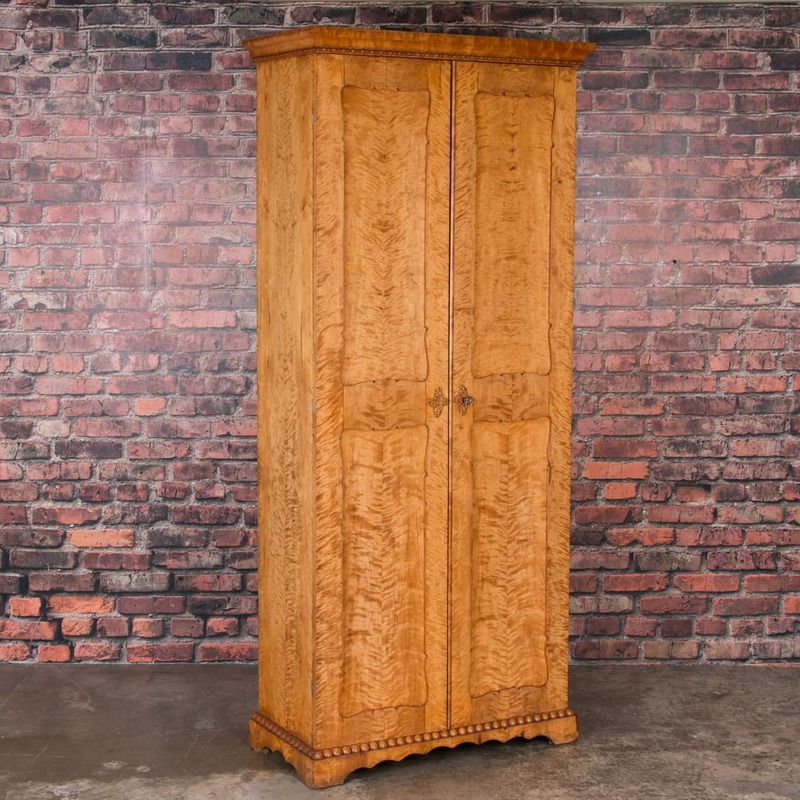 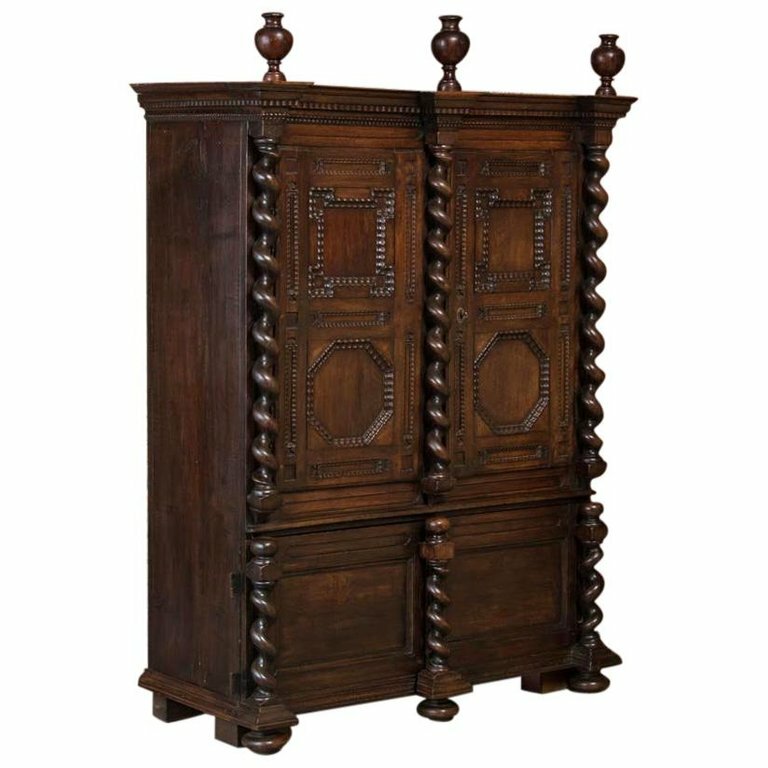 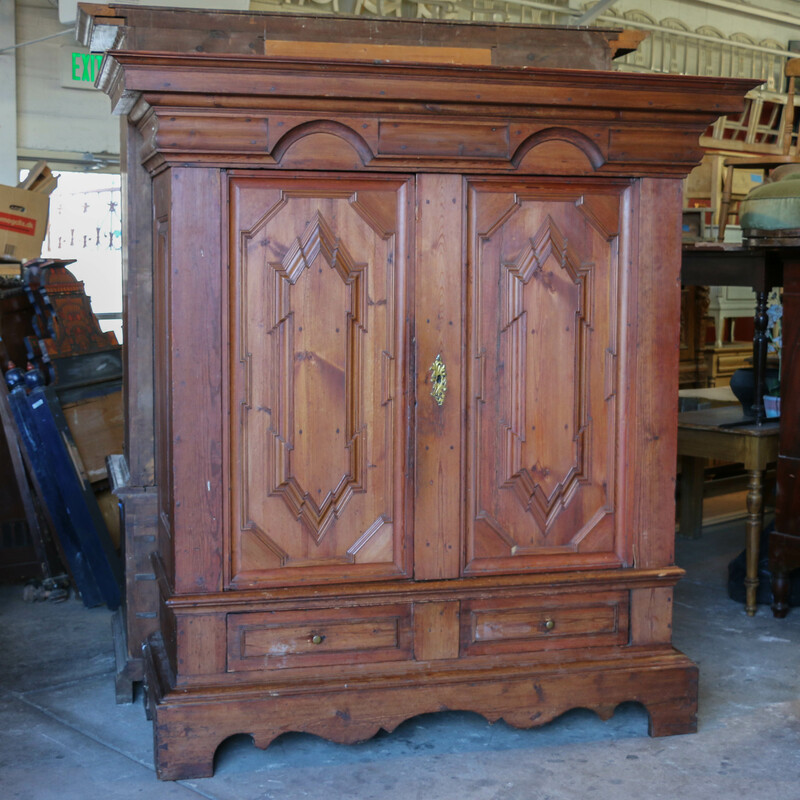 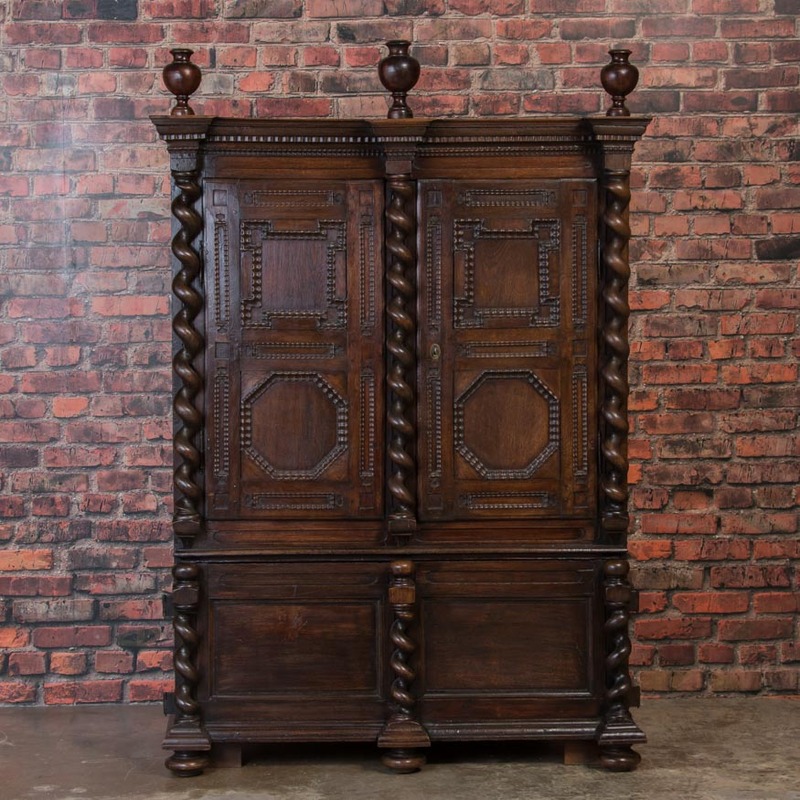 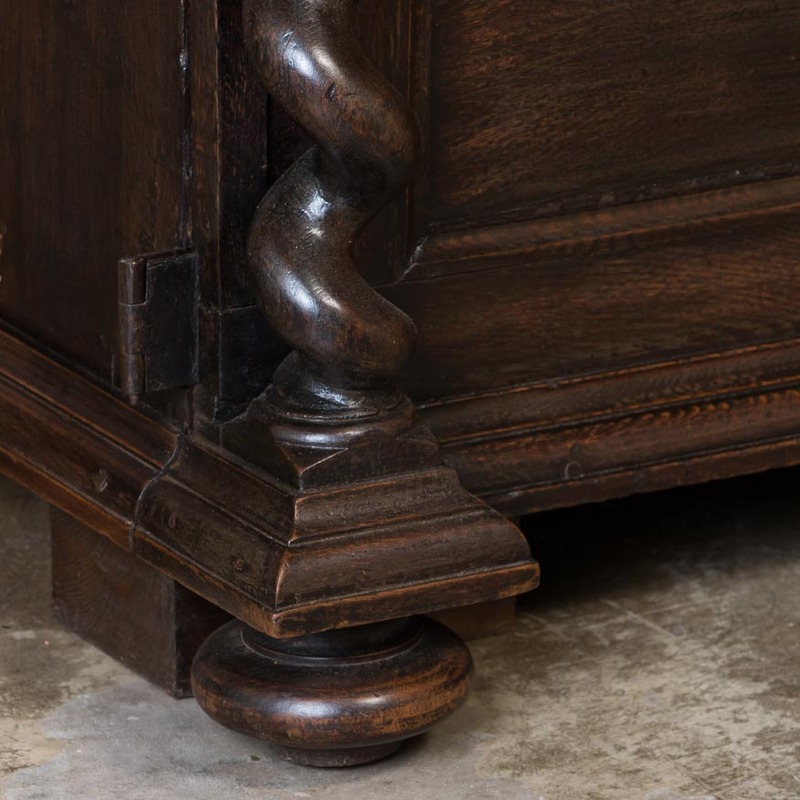 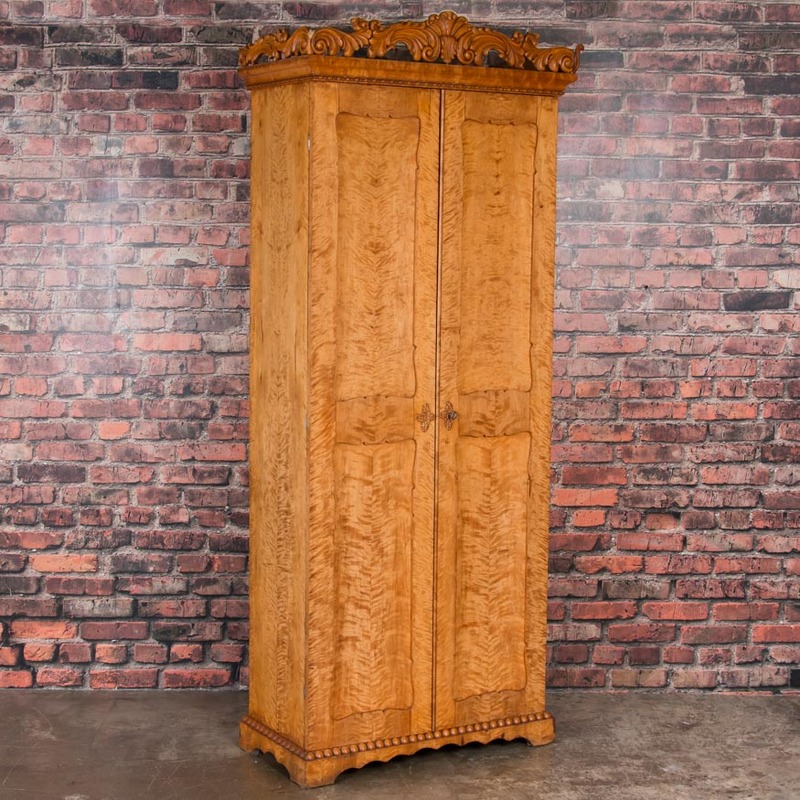 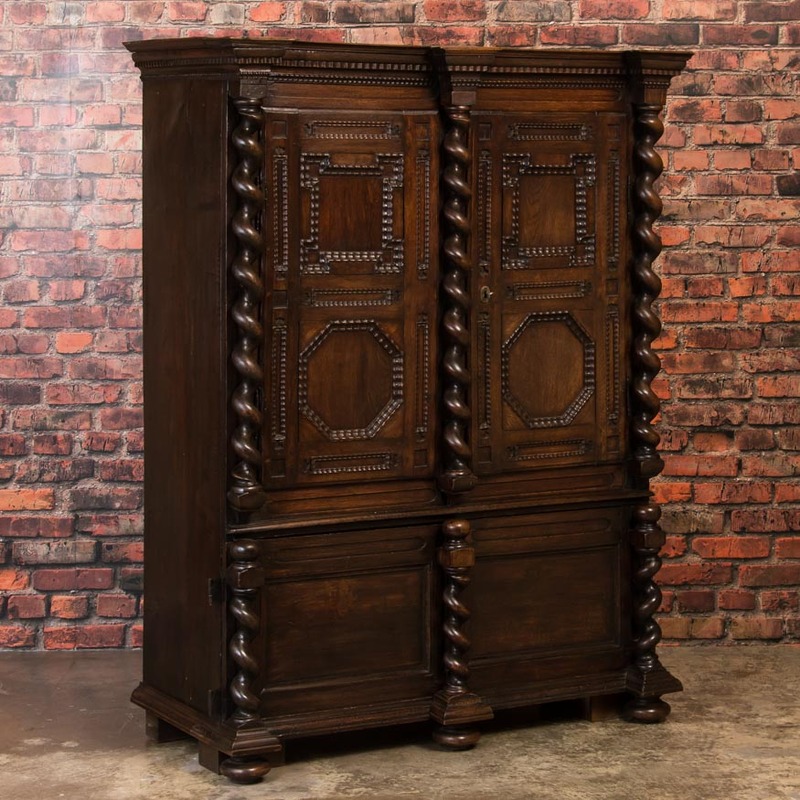 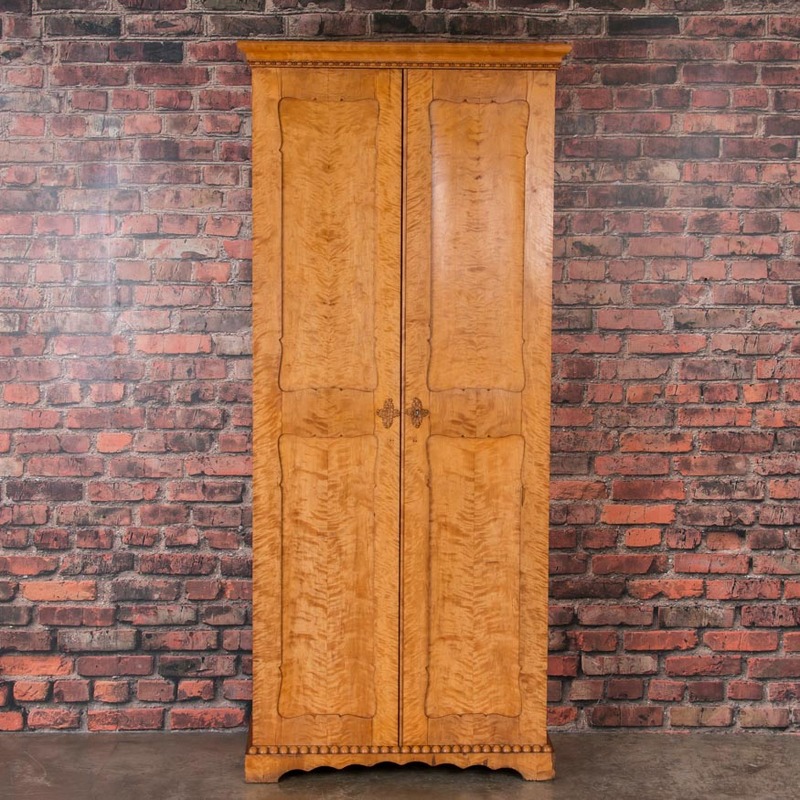 This circa 1760-1800 oak cabinet from Denmark has arched paneled doors and pediment. 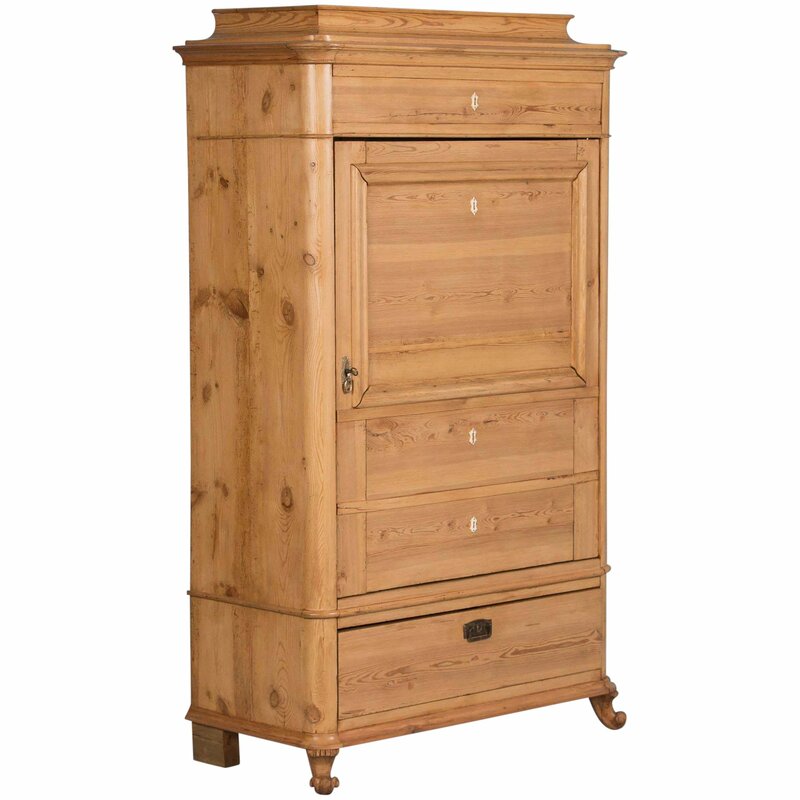 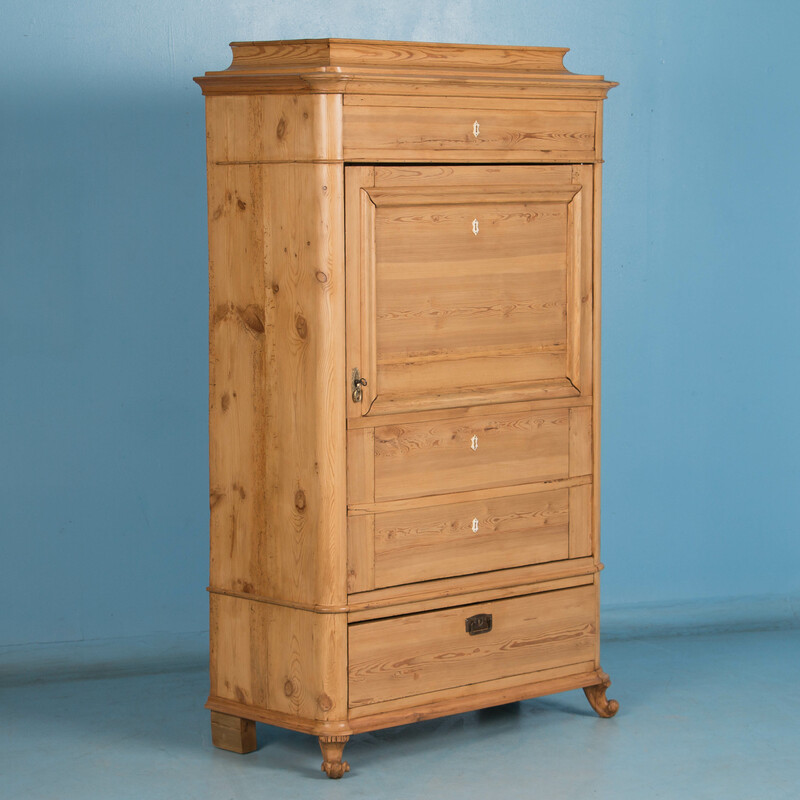 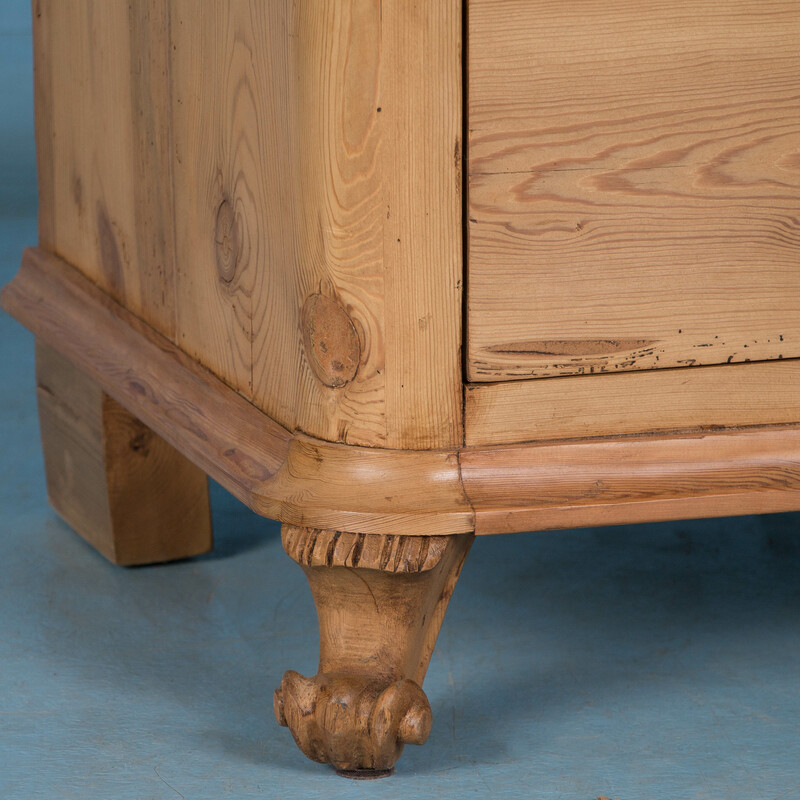 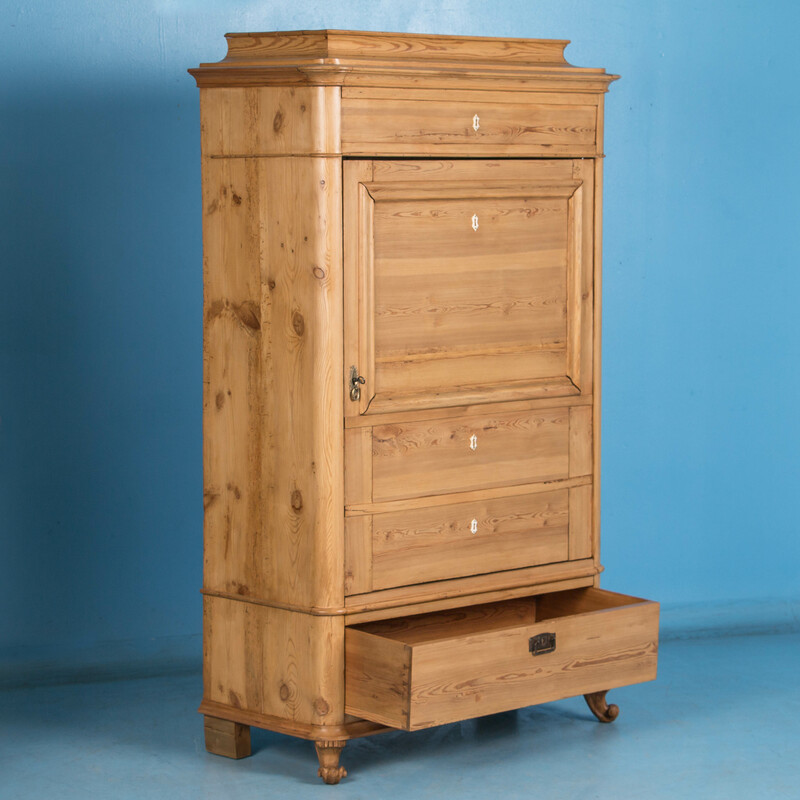 It stands on four barley twist legs with a single drawer, and shelf below. 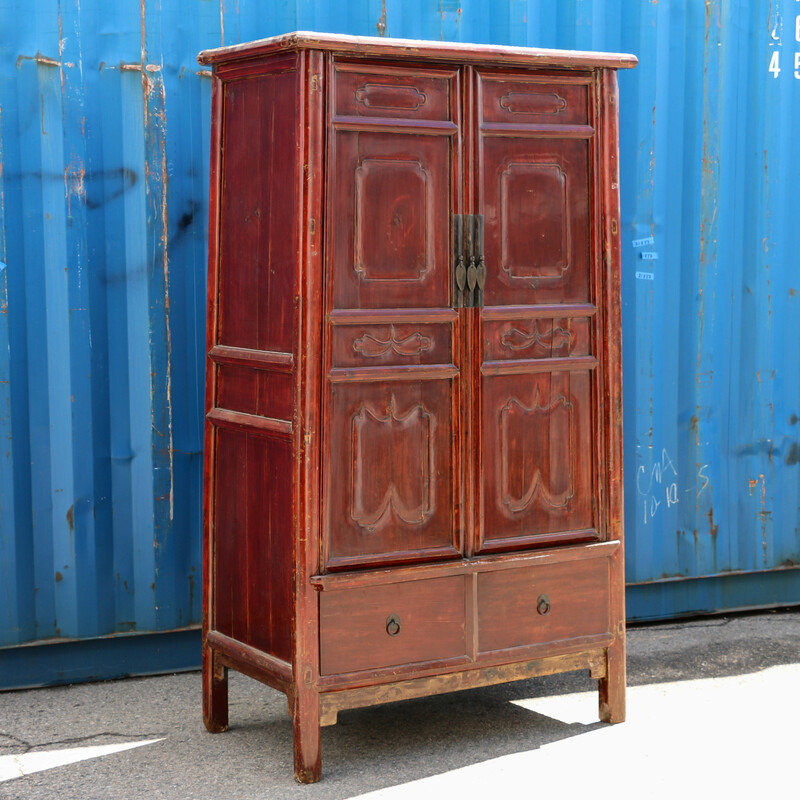 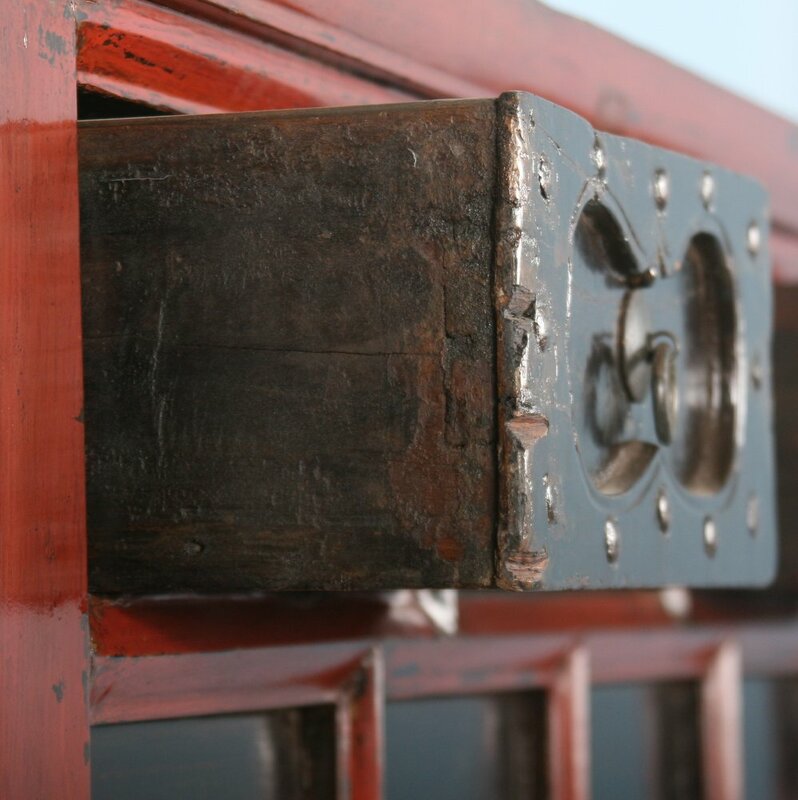 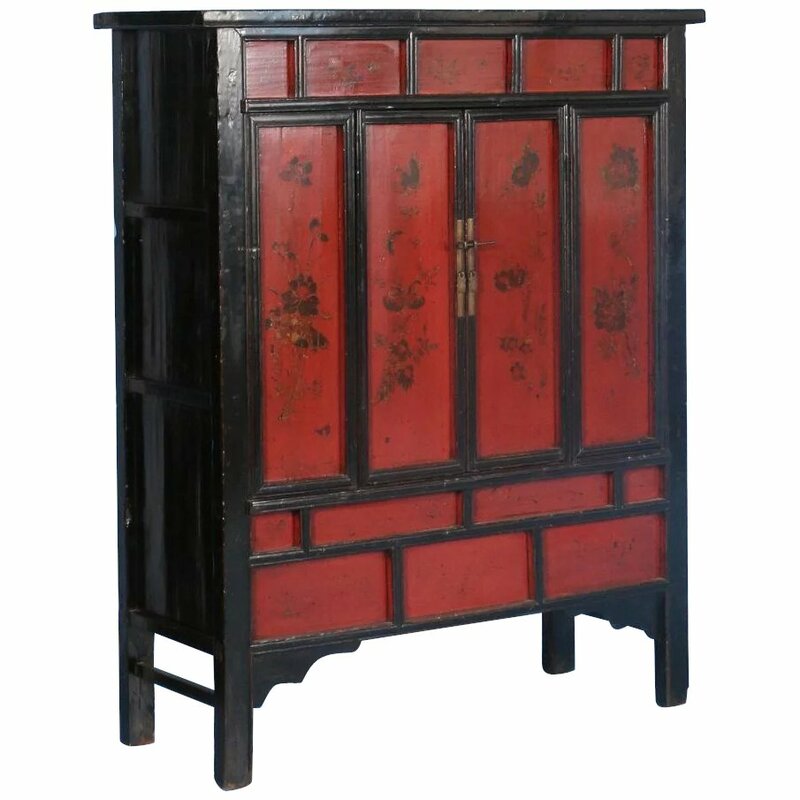 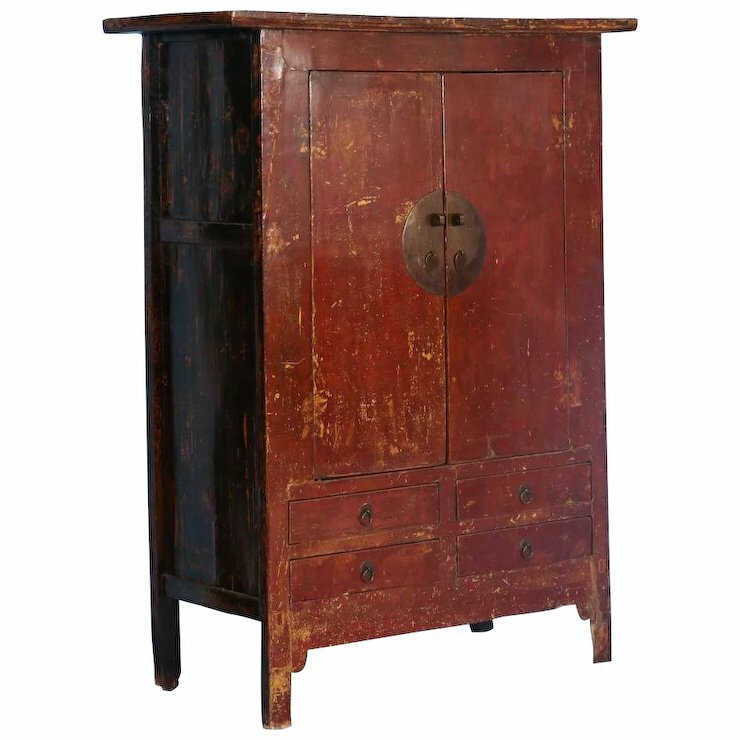 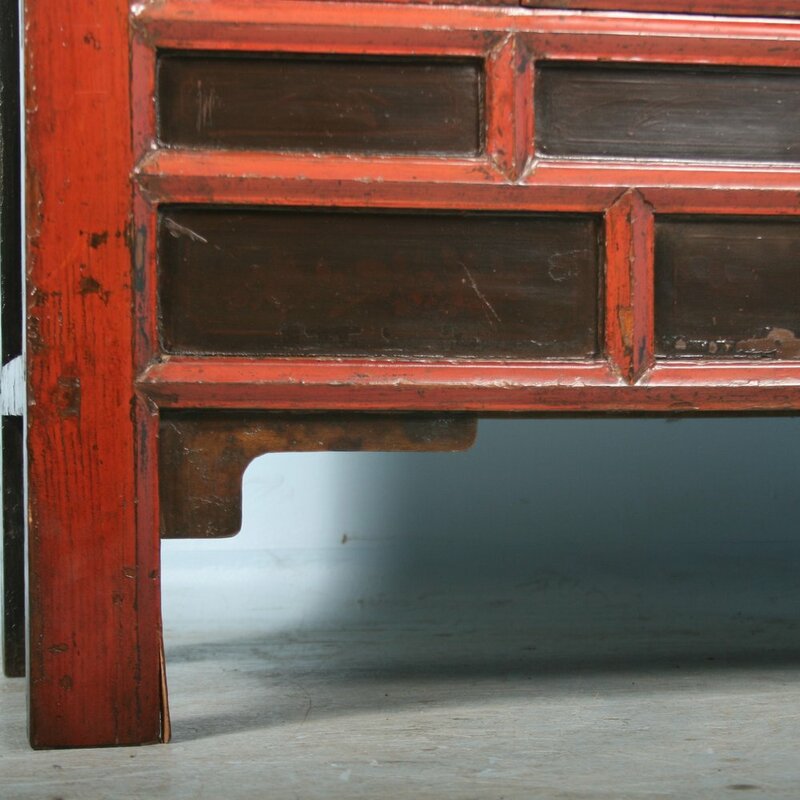 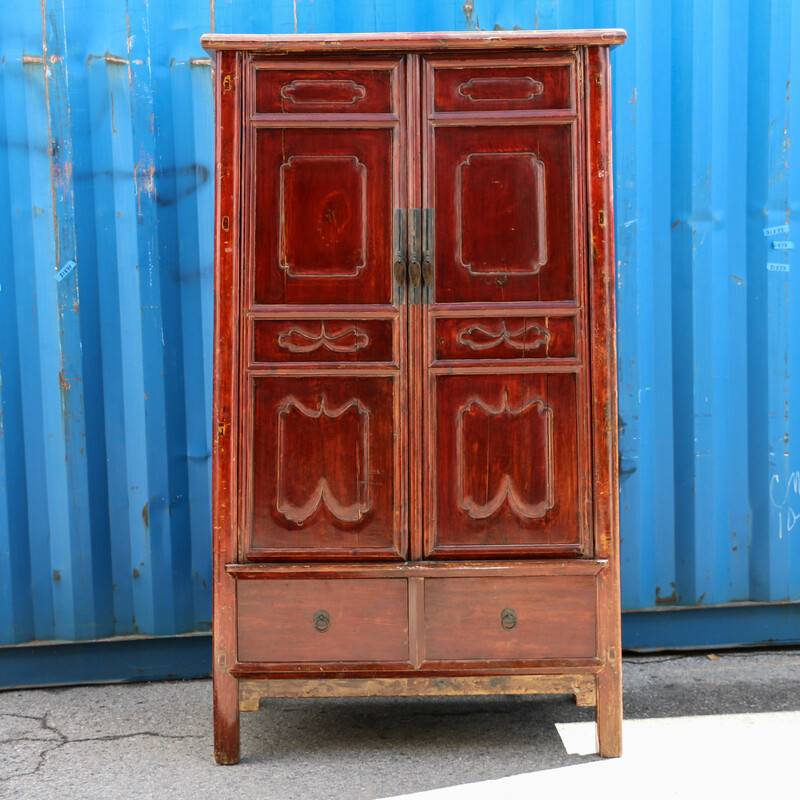 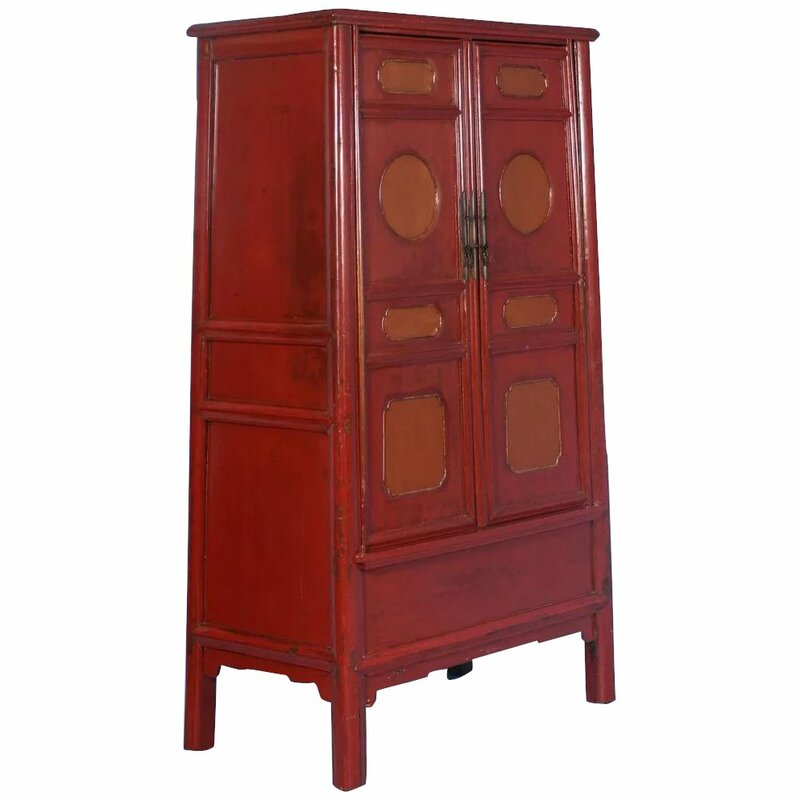 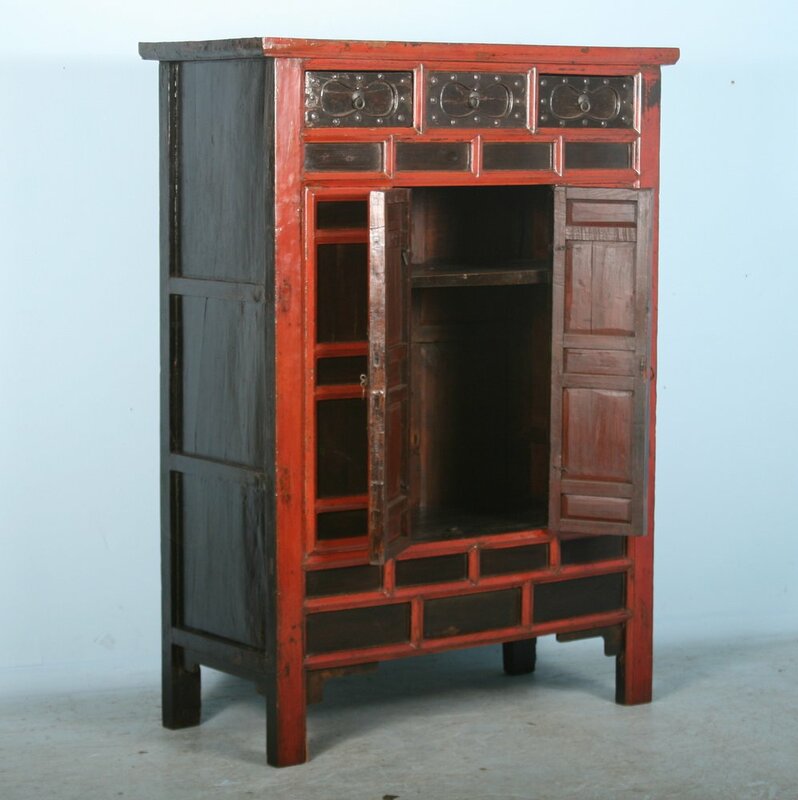 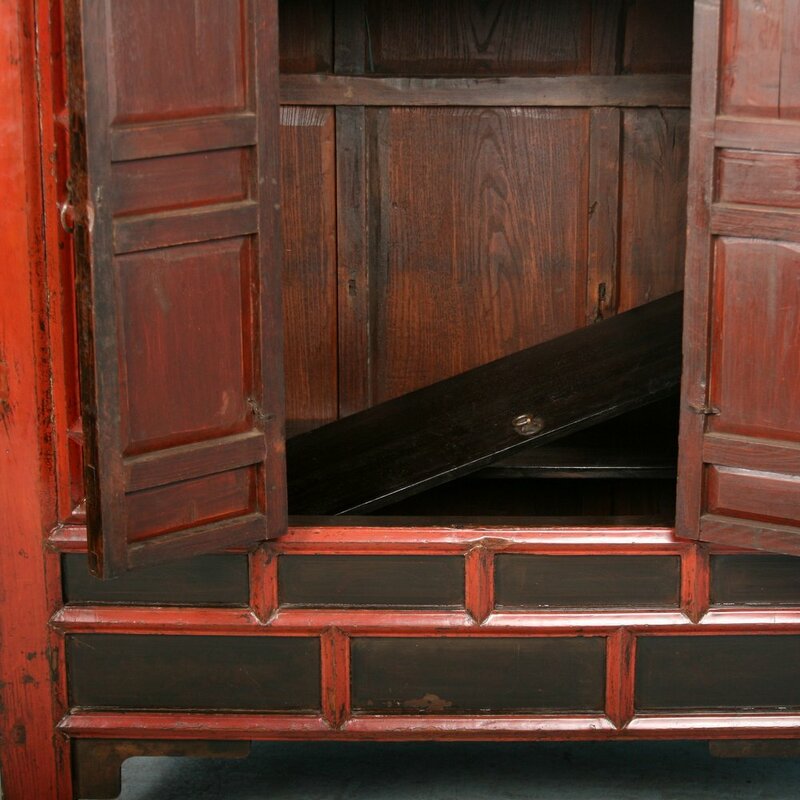 Antique lacquered Red/Orange Chinese Cabinet with Original paint. 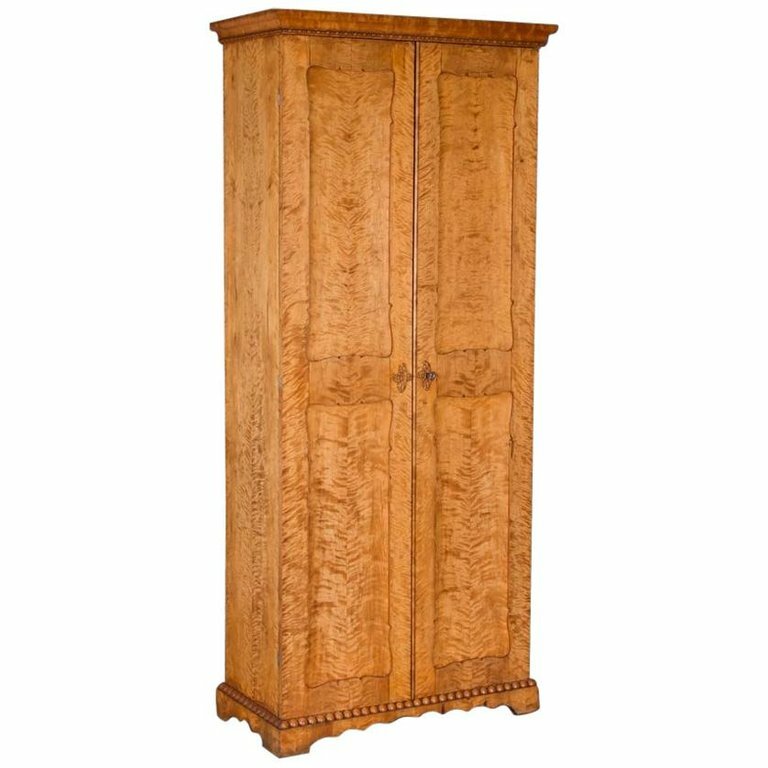 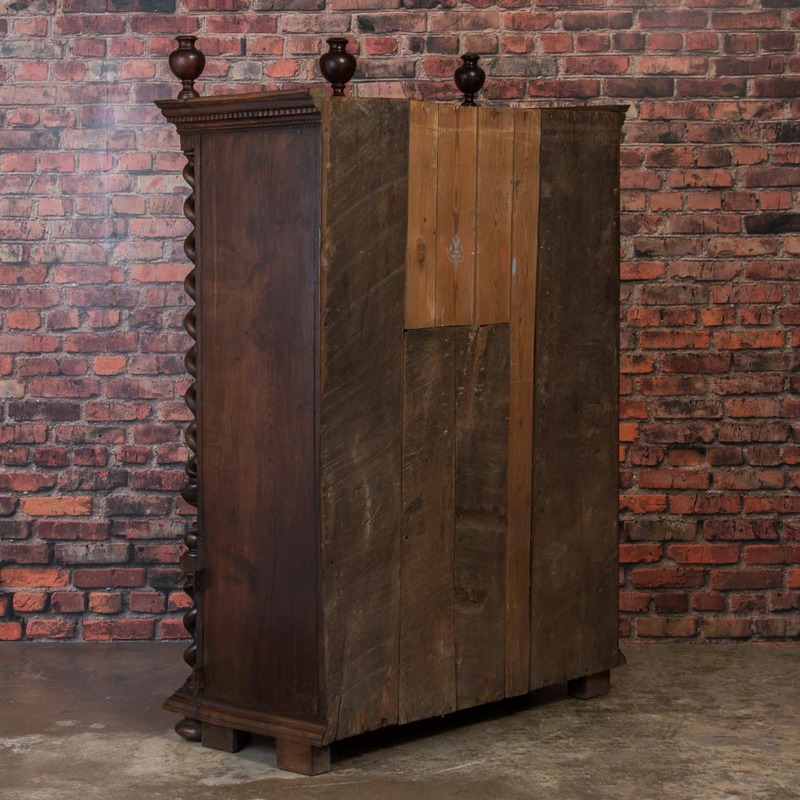 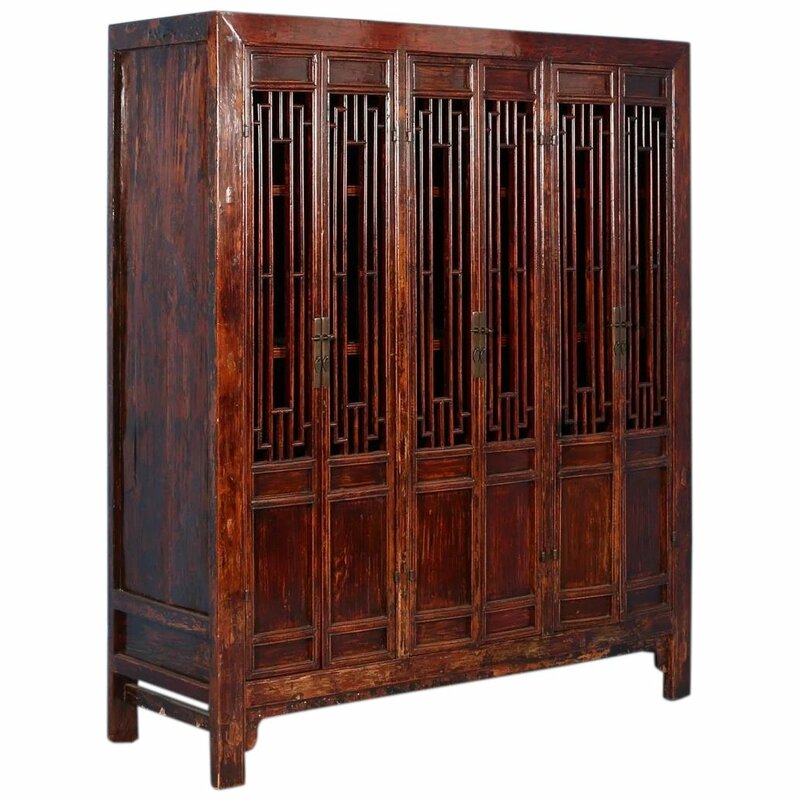 The unique shape (tapered and slightly more narrow at top) and paneling on the cabinet doors creates the great visual impact of this piece. 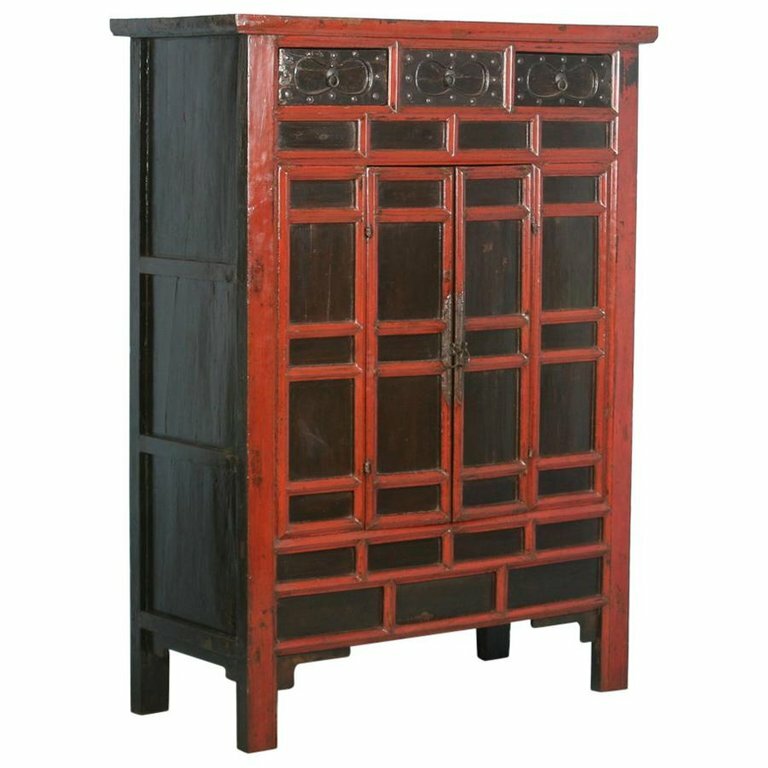 This beautiful red cabinet has lovely flowers and pomegranates displayed on the panels in black and highlighted in gold. 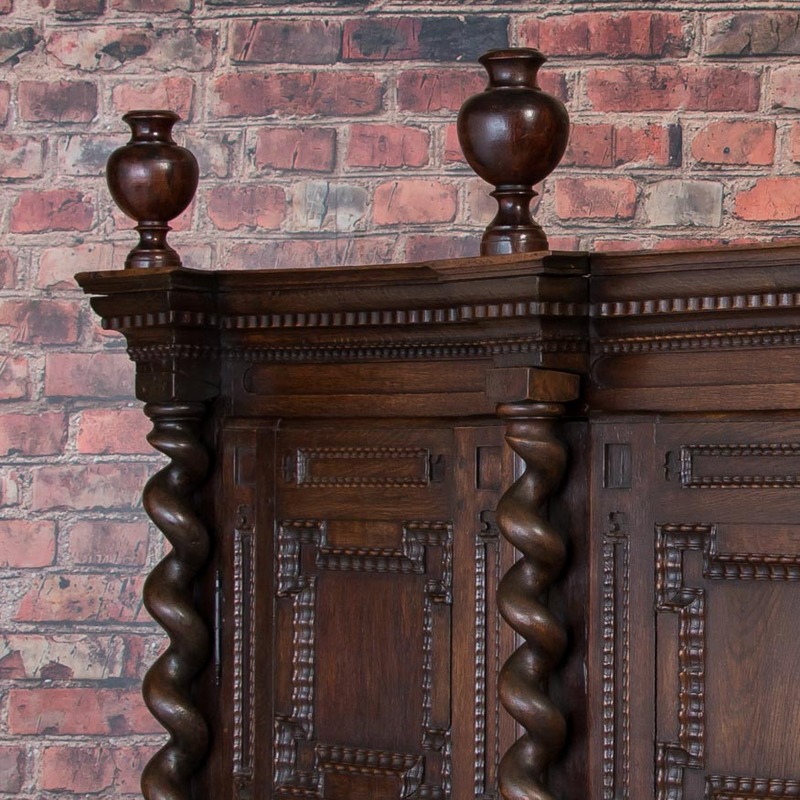 The unique paneling adds to the visual intrigue as well.